Despite the headlines, retail isn’t headed for an apocalypse. But it is changing. A lot. 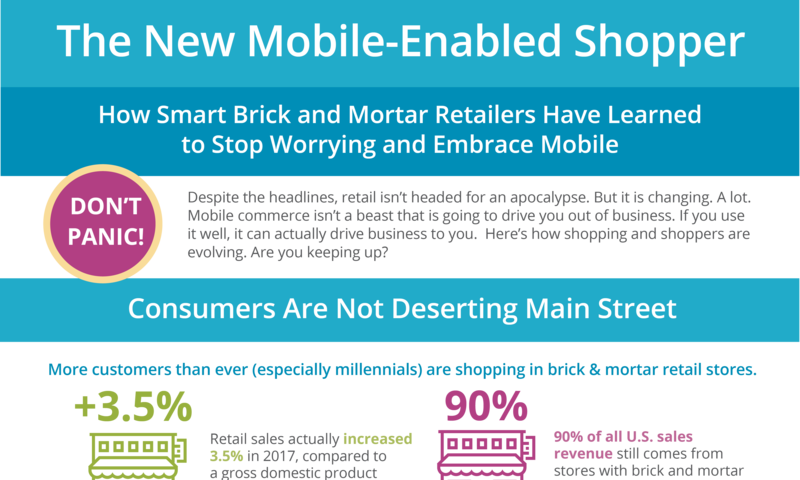 Mobile commerce isn’t a beast that is going to drive you out of business. If you use it well, it can actually drive business to you. Here’s how shopping and shoppers are evolving. Are you keeping up?